Global Pump is represented throughout the US and Canada and worldwide in Europe, Russia, South Africa, Mexico, South America, and Australia. 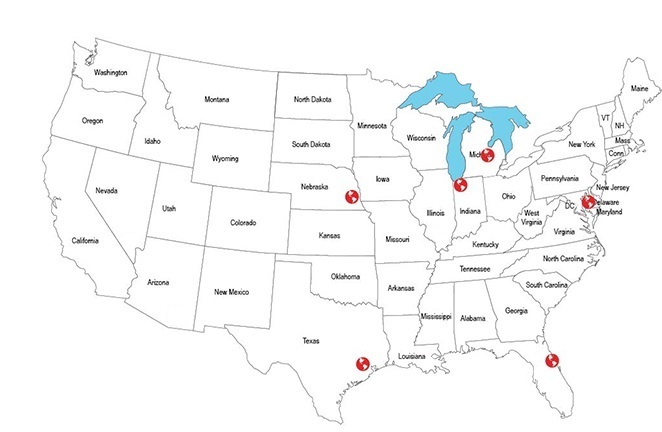 We have company-owned offices and warehouses in Baltimore, Michigan City, Omaha, Houston, Daytona, and Michigan, in addition to our network of authorized distributors. Ask Global Pump for more information. Contact your local Account Manager today at 866.360.PUMP. Visit our company-owned locations below. For more information on our distributor locations, call 866.360.PUMP.